According to a new report, the number of bookings through Airbnb increased 49% while the industry average was just 28%. During the same time, bookings at boutique hotels grew 43%. The data, from 1010data, broke down bookings from November 2016 through October 2017, as compared to November 2015 through October 2016. Using a static panel tracking millions of consumers, the analysis evaluated the booking behavior of over 1 million travelers and how those behaviors changed year over year. Business bookings were not included in the study. 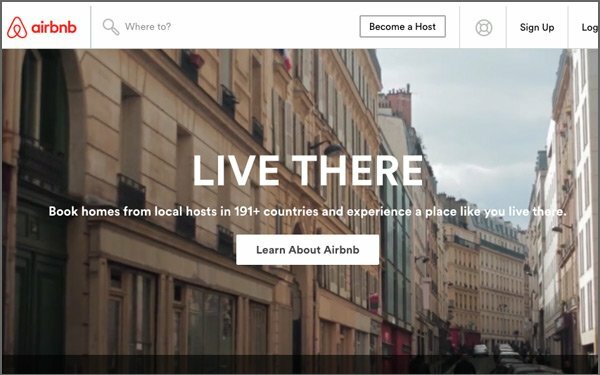 The report identifies that the growth in boutiques and Airbnb rentals indicates a growing trend that travelers are leaving major hotels in favor of places that feel more like “home.” 1010data looked at chains including Hilton, Marriott, IHG and others, and found that roughly 20% to 30% of hotel chains’ lost customers are staying at boutiques and Airbnbs, but between 12 and 18% of lost customers are booking at another hotel group instead. Hotels should combat the pressures of growing traveler interest in boutiques and Airbnbs but also develop strategies to tackle competition from other large hotel groups, according to the report. The remaining percentage of lost customers is not booking hotel stays online in the following year. Traveler interest in “authentic” local experiences appears to be increasing. When comparing the share of bookings year over year, Airbnb surpassed all hotels for the first time and boutiques caught up to Hilton. Besides the rise of boutiques and Airbnb, the other challenge facing the hotel industry is the growth of online travel agency (OTA) bookings. Although Marriott and Hilton launched campaigns in 2015 that promised travelers their websites would always have the best prices, travelers are consistently booking online. The number of hotel bookings through OTAs has grown 43% from Nov 2015 – Oct 2016 to Nov 2016 – Oct 2017. In fact, 44% of all hotel bookings online are done through an OTA, which is up from 38% in the prior year. Are loyal customers helping this shift? Not exactly. When looking at travelers who make 4+ bookings during a given 12-month period, the data shows that most active travelers aren’t loyal to any option. For the purpose of this analysis, loyal travelers are those who had 80% or more of their bookings with one category (Airbnb, Boutiques or Hotel Groups). The share of unloyal active travelers has grown 4 share points year over year. As a result, hotel loyalty has taken a direct hit. And while hotels still have more loyal customers than boutiques and Airbnbs, loyalty at boutiques is growing as hotel loyalty declines.